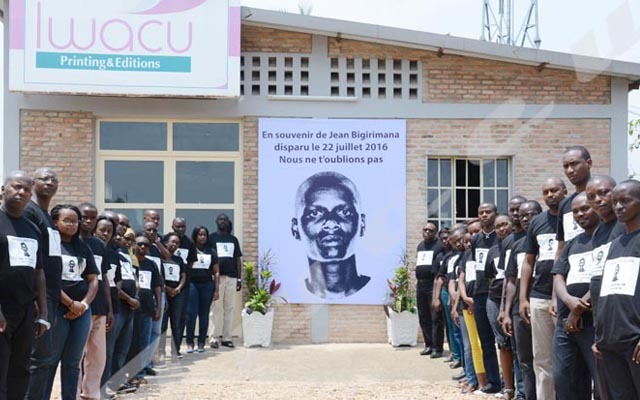 Eight years after Burundi Head of State declared “zero tolerance” to any act of corruption, OLUCOME says Burundi is still among the most corrupt countries in the world. Gabriel Rufyiri, chairman of OLUCOME, a local corruption watchdog, says the situation has worsened and will keep deteriorating if nothing is done. “When President Pierre Nkurunziza took office in 2005, he affirmed his commitment to the fight against corruption. Burundi was among 36 countries that were most corrupt at that time but is among the top ten most corrupt countries in the world today”. Rufyiri says that when the president declared zero tolerance to corruption in 2010, people thought it was going to be eradicated. “Unfortunately, no action was taken to walk the talk”. This activist says there is a group of people who enrich themselves while others live in grinding poverty. “There is a social inequality. There are people who get rich at the expense of others”. He says there should be a high court of justice to investigate high authorities’ wealth as stipulated in the Constitution. “High authorities should show their wealth to a competent court to avoid illicit enrichment”. Iwacu tried to contact the minister of good governance to ask how far it is with “zero tolerance” policy on corruption but in vain.